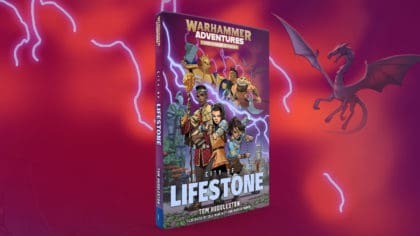 Check out City of Lifestone, the first book in the Warhammer Adventures: Realm Quest series! Find out more about the series below! Brace yourself for City of Lifestone, the first thrilling story in the Warhammer Adventures: Realm Quest series! For long ages, the once glorious Mortal Realms were assailed by the dread forces of Chaos, until the God-King Sigmar returned from High Azyr to drive back evil. Raised as a slave, Kiri dreams of one day living a better life. Fabio the Flamingo is back! That day comes when her barbarian captors are attacked by the noble Stormcast Eternals! Seizing her chance, Kiri flees through a mysterious Realmgate to the fabled city of Lifestone. There she meets a special group of children: Thanis the fighter, Alish the inventor, Kaspar the sneak and Elio the healer. Together they must lift a terrible curse and save the city from darkness. 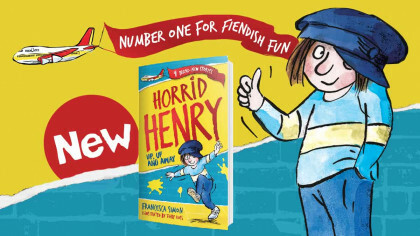 Plus, if you want a real treat, the audiobook is read by Billie Piper, star of television’s Doctor Who! Greg James and more in the Book Club!